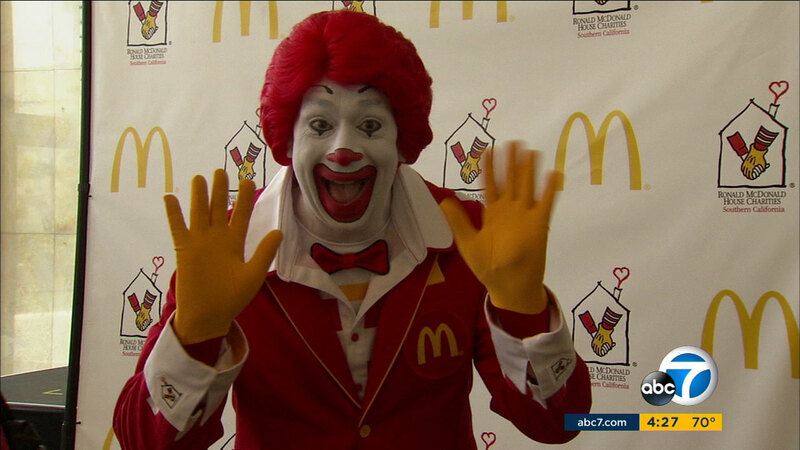 Ronald McDonald is laying low amid a nationwide creepy clown scare. The creepy clown craze is even scaring McDonald's, it seems. The fast-food chain says its iconic mascot Ronald McDonald will be laying low for a while as a result of the "current climate around clown sightings in communities." The company wasn't specific about to what extent Ronald McDonald's public appearances will be limited. The country has seen a rash of creepy-clown sightings lately. Some cases are pranks or hoaxes. Others have resulted in arrests for criminal threats or allegations of attempted kidnapping. The red-haired clown dates back to the 1960s and was first portrayed on television by Willard Scott. He is now considered one of the world's most recognized corporate mascots, and is known in particular for the nonprofit Ronald McDonald Houses where parents stay when visiting sick children.